The City is governed by a Council/City Manager form of government. The City Manager receives policy direction from a five-member elected City Council, each of whom serves a two-year term. The current Council includes Honorable Mayor Dominic Persampiere, Councilman Steve Henken, Councilman Keith Britton, Councilman Bob Pollack, and Councilwoman Megan Sladek. 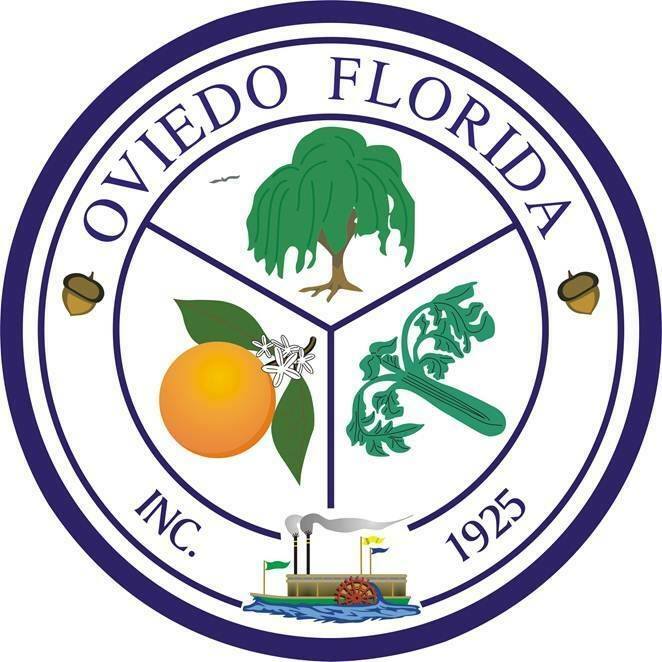 Council Meetings are held on the first and third Monday of each month at 6:30PM in the Oviedo City Council Chambers. City Council meetings are broadcast live on Spectrum channel 496 in Seminole County. City Manager Bryan Cobb oversees the day-to-day management of the City and its departments, Administration, Development Services, Finance, Fire, Human Resources, Information Technology, Police, Public Works, and Recreation and Parks. The City has two fire stations, a potable water treatment facility, and a wastewater treatment facility.